Accessory Genie employees all have one characteristic in common: restraint. Restraint because day after day, we get the opportunity to witness how useful, fun, and innovative our products are and we have to remember to control ourselves and avoid spending the entirety of our paychecks on Accessory Genie products. I know we all feel the same way, so I decided to go around the office and ask my co-workers what their favorite Accessory Genie products are and why. Max's story was one of the most interesting. Luck was not on his side when he decided to take his new car out for a ride through the mountains. His clutch blew out, leaving him stranded in the middle of nowhere with nothing but a dead cell phone battery. 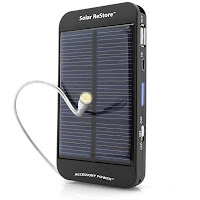 Luckily, Max had purchased his Solar ReStore earlier that week and had it in the car for an upcoming camping trip. 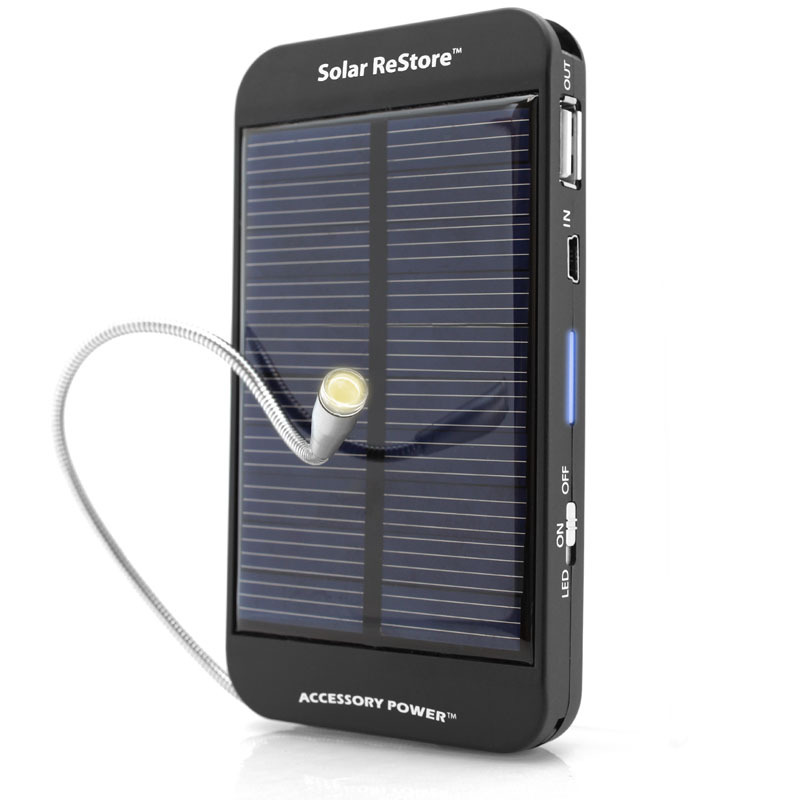 "I was able to charge my dead cell phone with the sun and call for help," he says. "If it hadn't been for my Solar ReStore, I would've ended up hiking down the road another mile to reach a call box and then hike up the hill to get back to my car." Our Panda Pal is another product that is extremely popular because of its versatility, cute appearance and unexpected powerful performance. Aaron originally bought the Panda Pal for his wife and was so blown away by the sound quality that he bought himself one the next day! "Cuteness aside, this speaker is serious business, especially for its size. Plus there is something to be said about having Rammstein blasting at full volume and full clarity through this Panda speaker." Aaron also bought his father-in-law two Panda Pals, who connects it to his Evo Shift 4G at the racetrack and uses NASCAR Sprint Cup Mobile to listen to the race, driver radio chatter, and watch in-car video of the race while he's at the track. Aaron also bought the GoCharge USB Battery Pack with the intention of using it to charge his HTC Evo Shift 4G and his Nook Color, but he finds himself using it more to power his Panda Pal speaker. "I have run the Panda Pal at top volume for 6-8 hours at a time using the GoCharge, and have yet to run it out of juice. Plus I can charge either my cell phone or my Nook Color at the same time." Todd prefers the great sound and isolation his AUDIOHM ear buds provide. 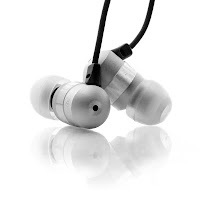 "I use them daily for listening to Graphic Audio novels and they bring the narrator and actors voices to life. The sound isolation is great and they block out most of the background noise so I can concentrate on the story," he explains. Alex's favorite product is the Flexsmart X2, our very popular wireless Bluetooth FM transmitter. "The sound quality and clarity that this transmitter produces is just incredible. And it's nice not to have to take the time to connect my iPhone to any wires just so I can listen to music," Alex says. He especially likes it because of the auto-tune feature, which he says is great when you're driving long distance because it makes it so easy to find the best station to connect with. With so many great products being flaunted in front of us on a daily basis, how could we not treat ourselves to a product or two?! What's your favorite Accessory Genie product? And don't forget to Like us on Facebook and get 10% off your next AccessoryGenie.com purchase!